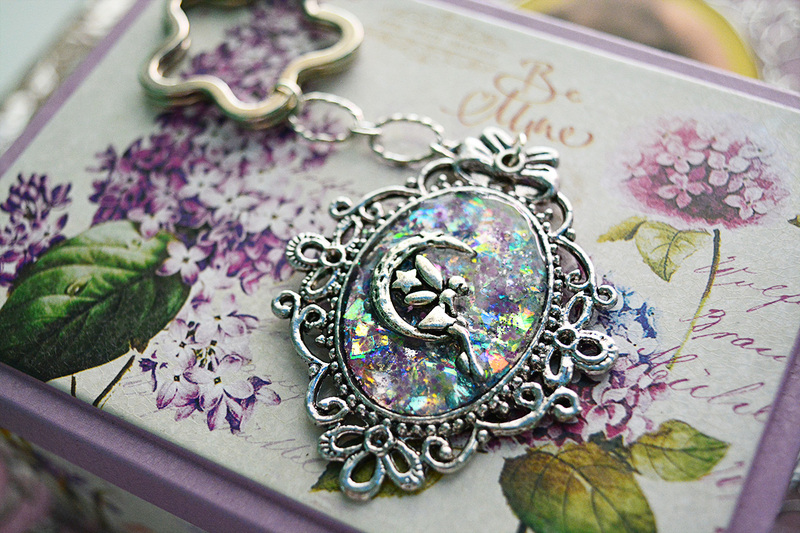 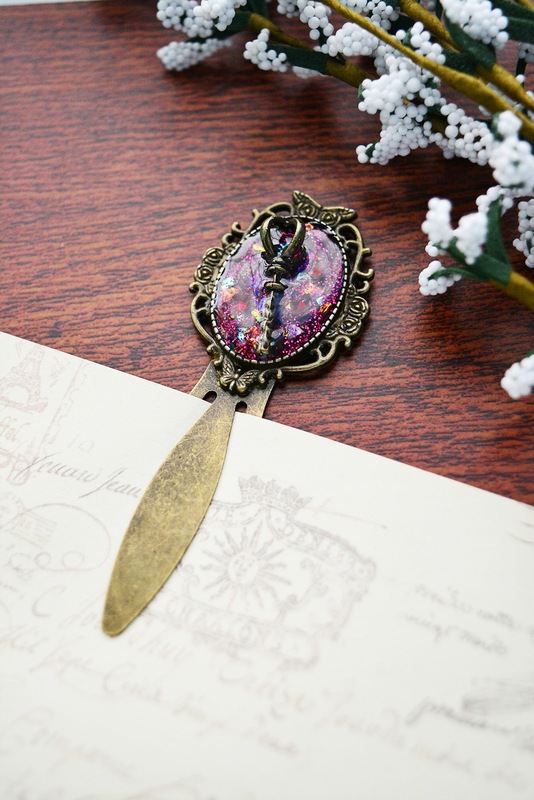 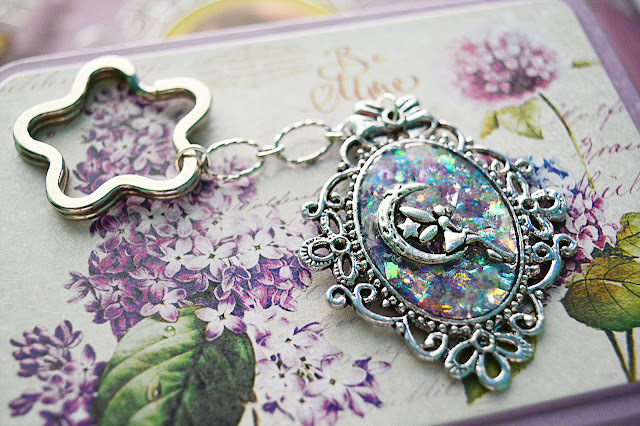 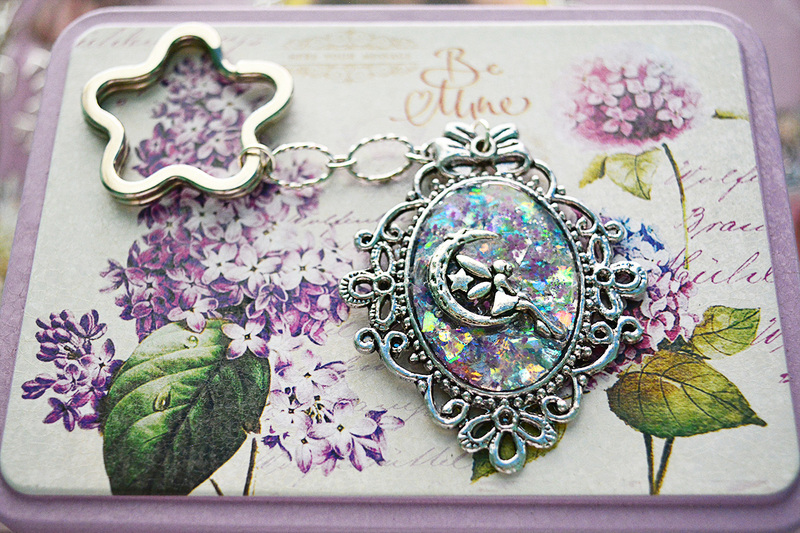 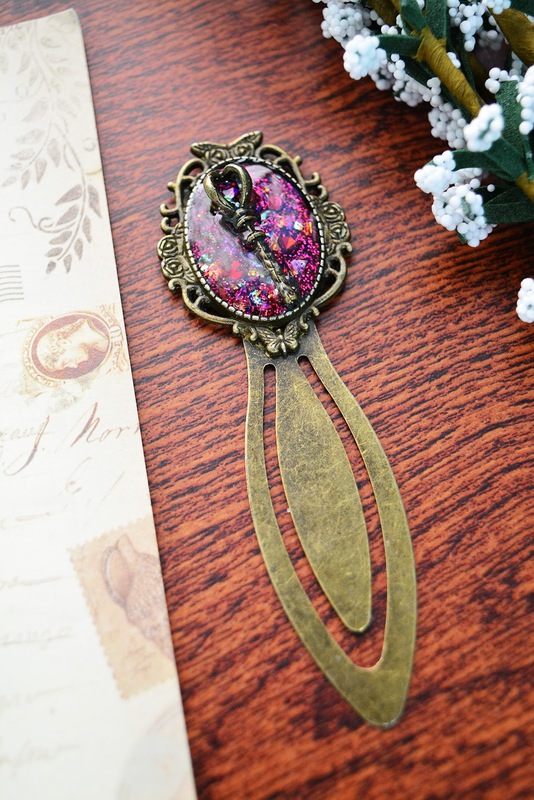 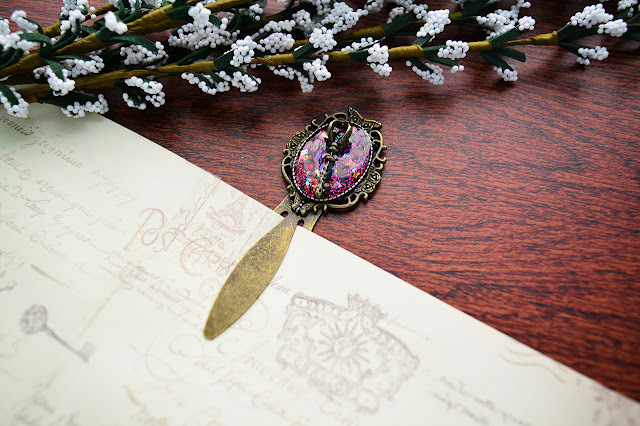 This antique bronze cabochon bookmark is set with a skeleton key charm on top of an iridescent red glitter, metallic foils & Swarovski® Xilion chaton which are then encased in jewelry resin. 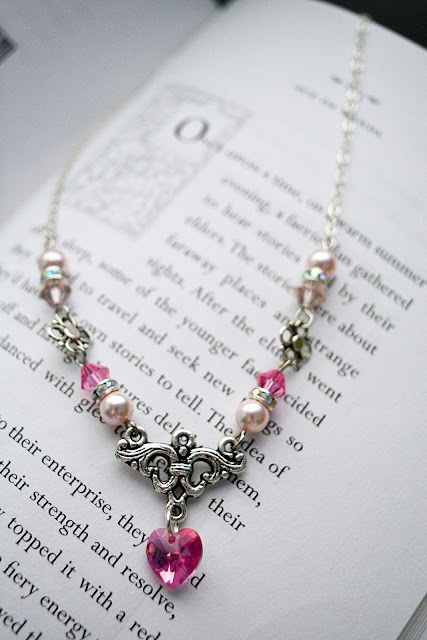 The White Queen inspired necklace, this are made with Swarovski™ tear drop pendant, cat eye beads, crystal rhinestones, white gemstones, antique silver clover charm & flower charm connector, attached with a bright silver plated chain, this necklace measures 17.5 Inches. 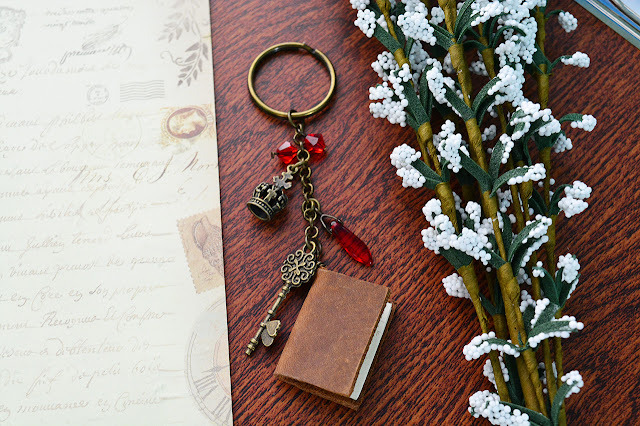 Inspired by Lewis Carroll's The Red Queen in Alice In Wonderland, this vintage style keychain is made with a dangling miniature leather bound book, royal crown charm, key charm & Czech Fire Polished beads. 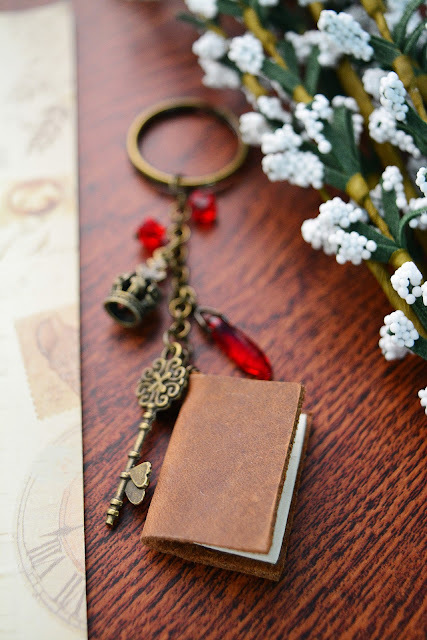 The miniature leather bound book is made with upcycled leather and vintage papers. 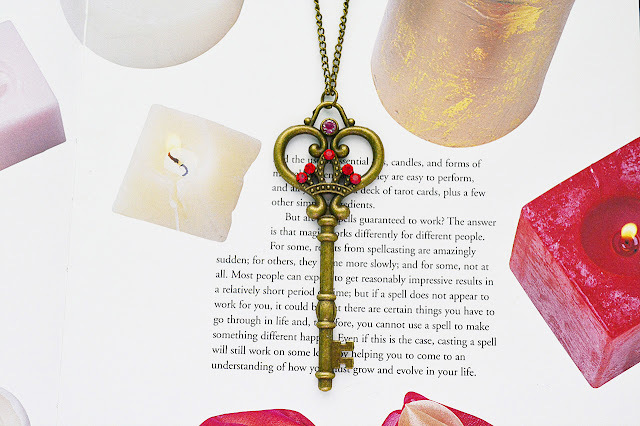 Inspired by the Red Queen in Alice Adventures In Wonderland. This miniature heart vial pendant is filled with dried flowers in shades of red. A unique addition to your daily outfit, this gives off a one of a kind vibe to it's wearer. 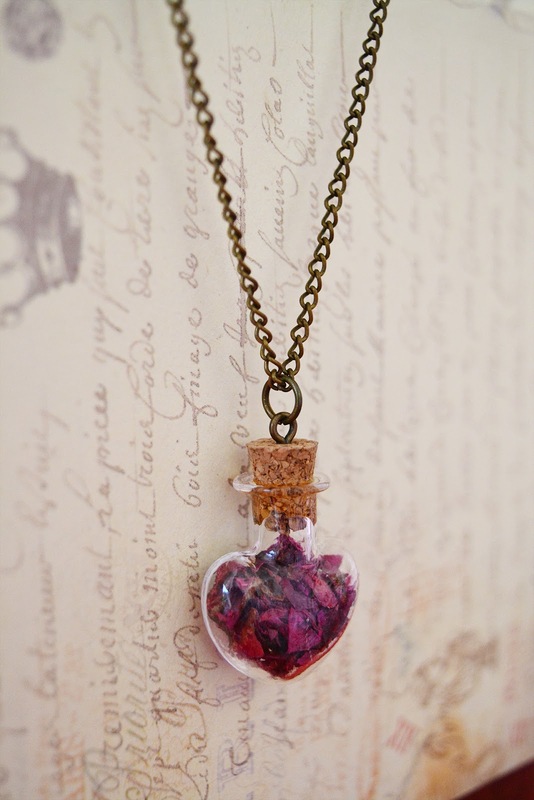 The heart shaped glass bottles measures 22mm in diameter and hung in a brass plated chain which measures 23.5 inches in length. 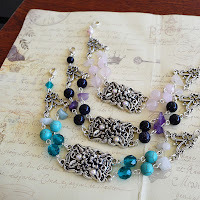 For a shorter or longer chain, do contact me & I'll customize it to your preferred length. 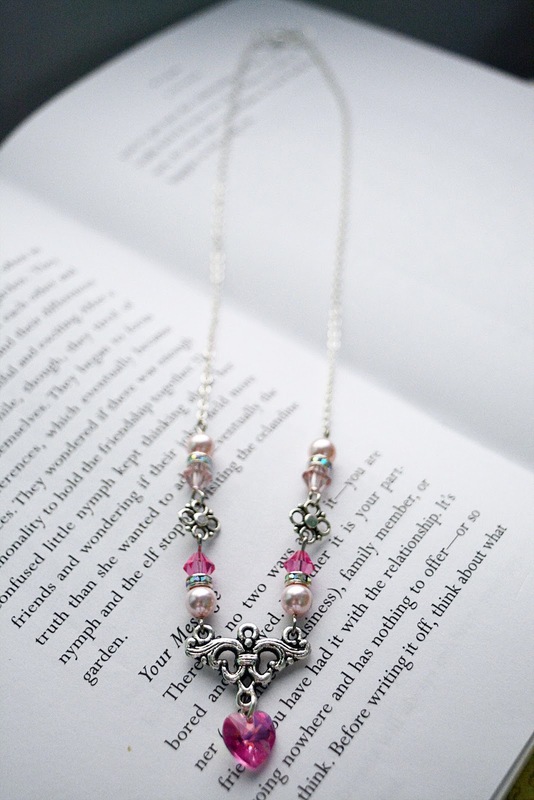 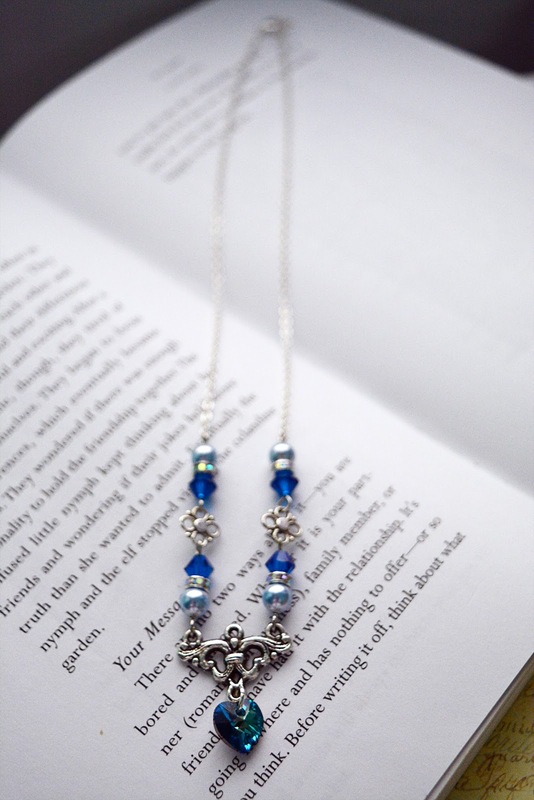 The Red Queen Necklace is made especially for those with a penchant for the magical world of fairy tales. 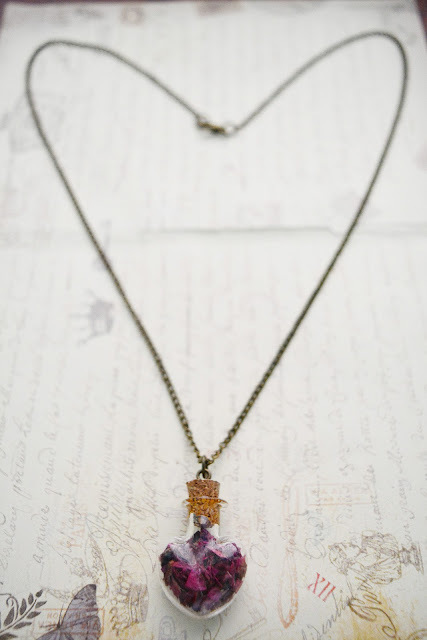 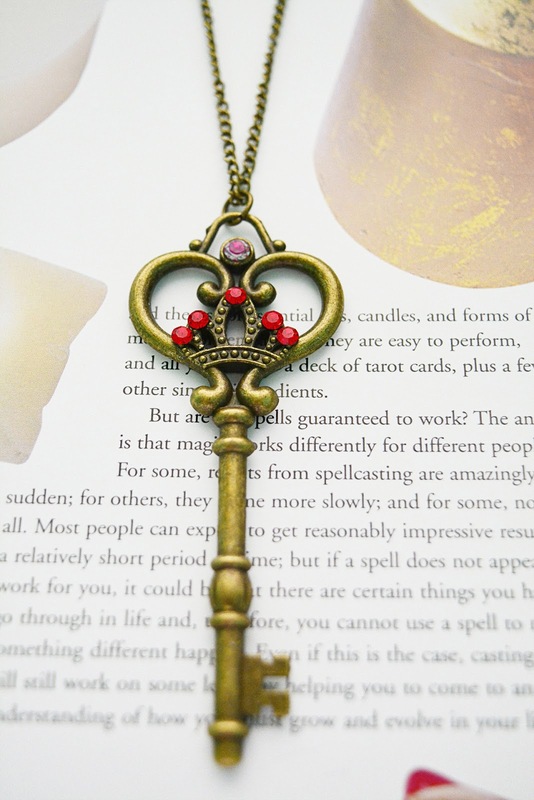 With red crystals adorning both sides of the skeleton key, it evokes a royal vibe to it's wearer. 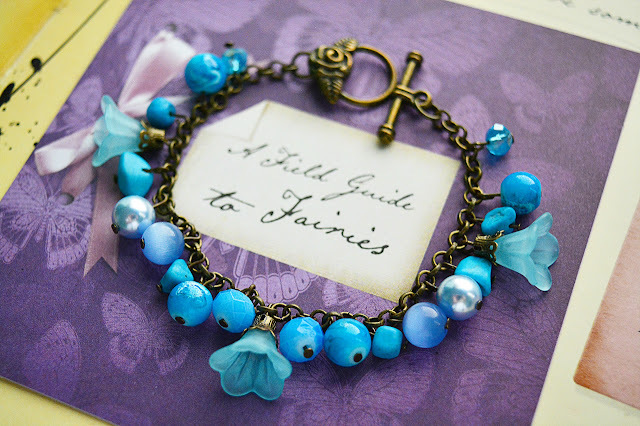 For a romantic & whimsical look, pair it with a little white lace dress. 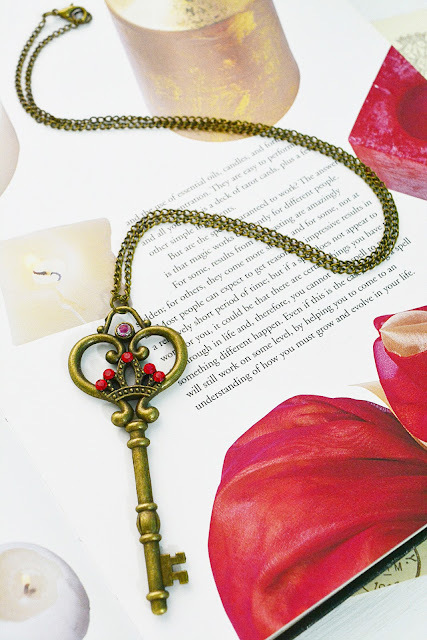 The antique brass chain measures 23.5 Inches. 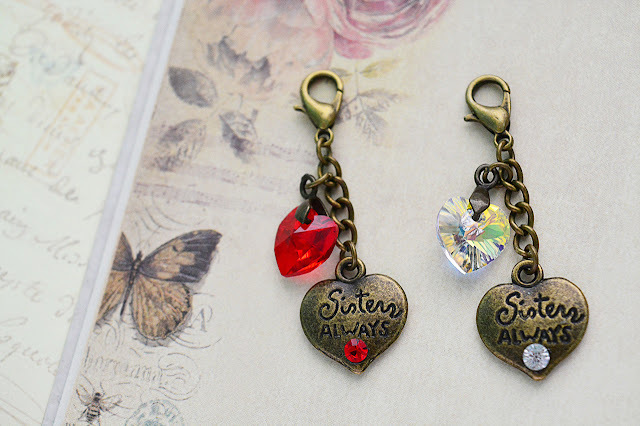 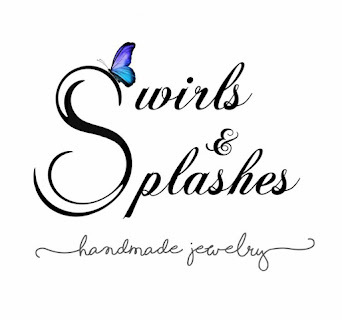 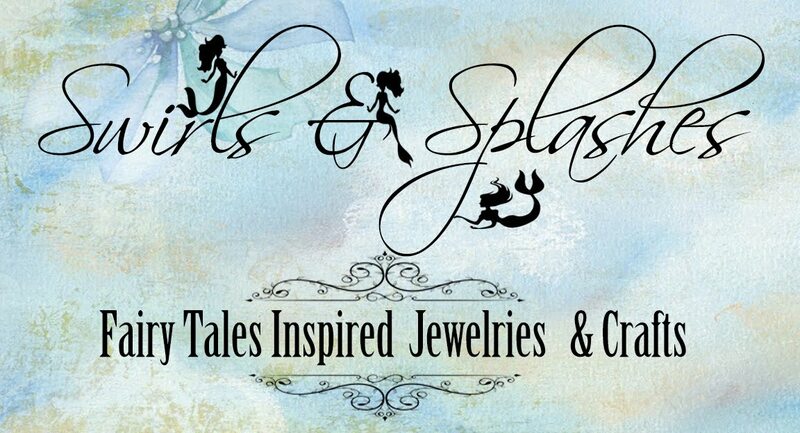 A pair of vintage inspired charm for your journal, planner and notebook. 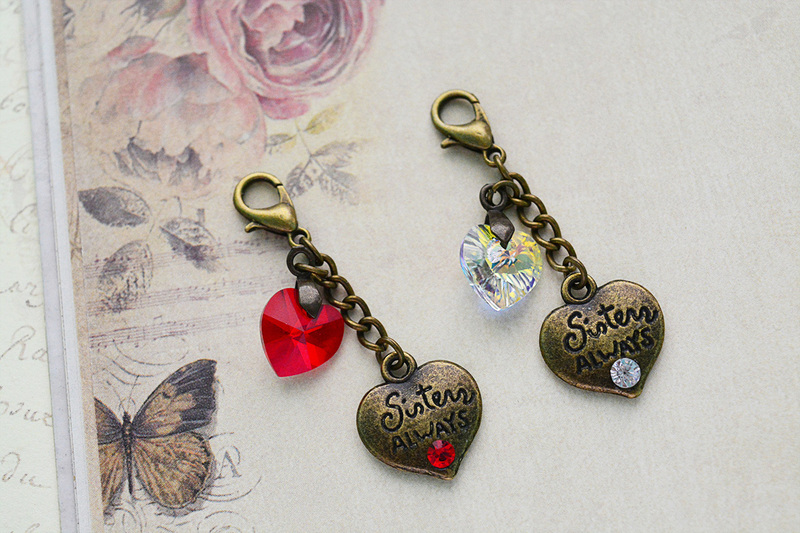 The perfect gift for sisters and best friends! 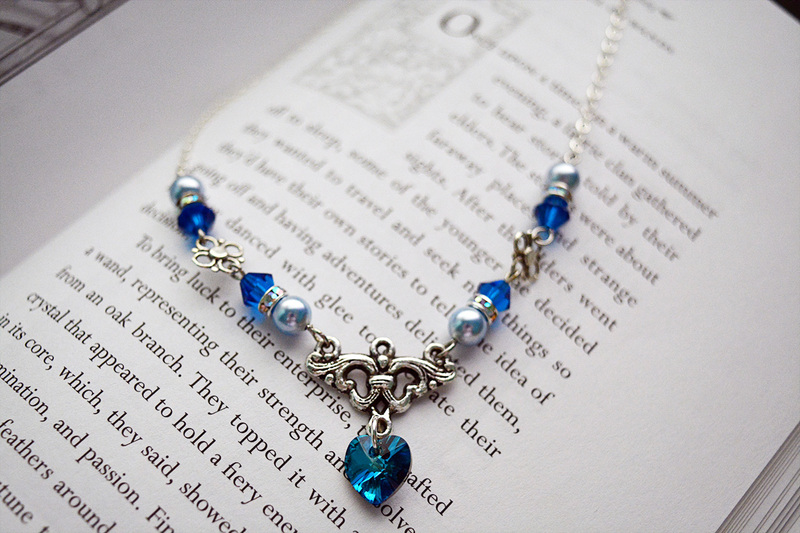 Blue is the colour of intuition, imagination, sincerity & wisdom. The perfect wedding colour theme for those who love this calming colour. 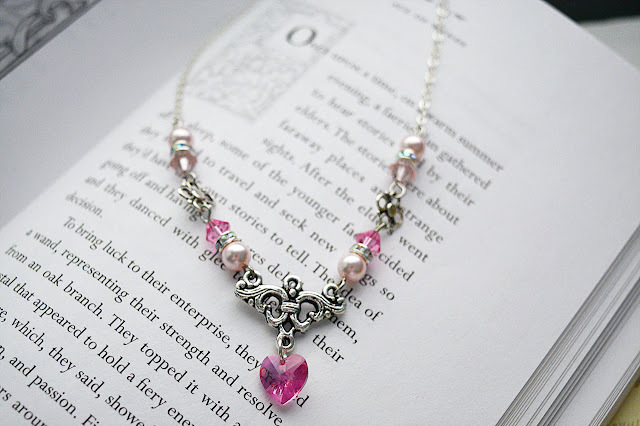 attached with a bright silver plated chain, this necklace measures 18 Inches. 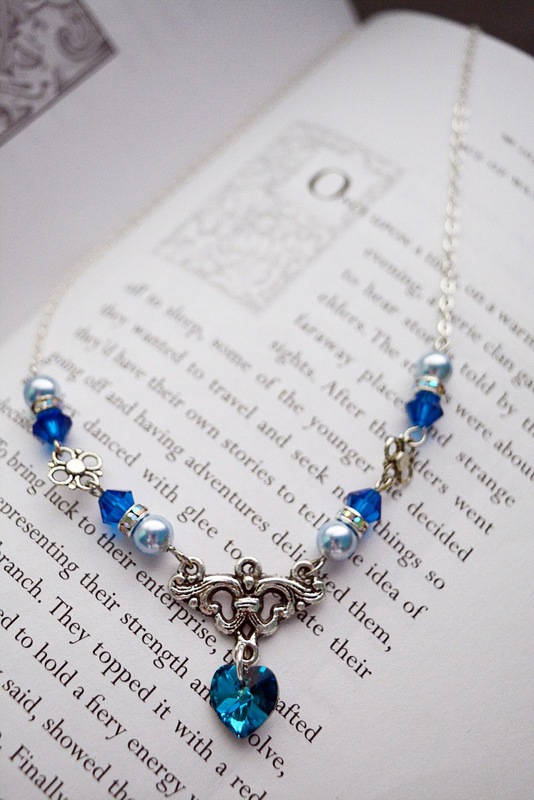 A fairy tale inspired necklace, this are made with Czech fire polished glass beads, crystal rhinestones, Swarovski™ crystals pearls & Swarovski™ crystals heart pendant, attached with a bright silver plated chain, this necklace measures 18 Inches. 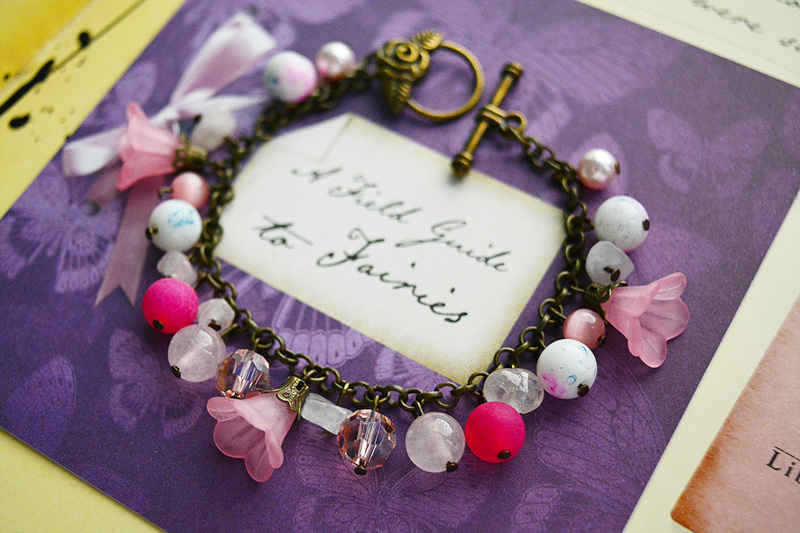 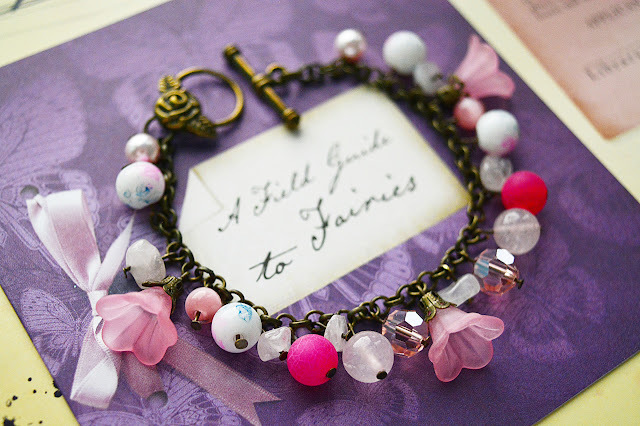 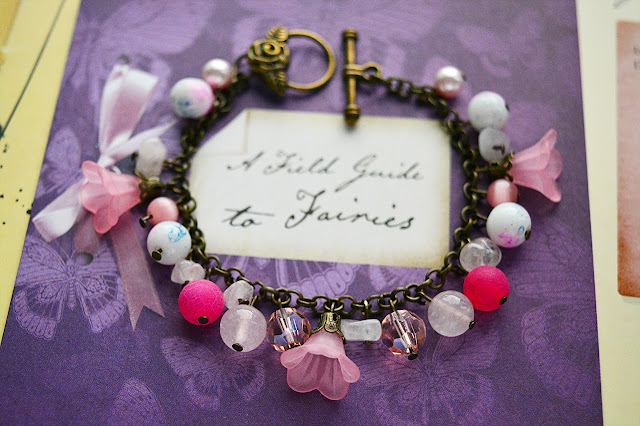 This Vintage Pink Fairy Bracelet is made of Rose Quartz beads, Rose Quartz shards, Swarovski™ crystals pearls, cat eye beads, acrylic beads, bell flower charms & brass rose toggle clasp. 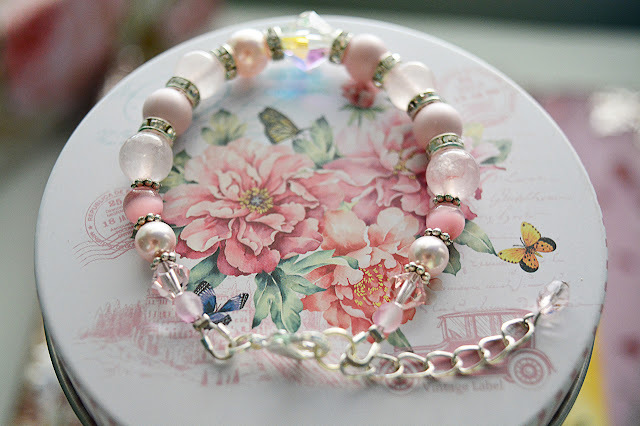 Overall, the bracelet measures 18.5cm in length / 7.2 Inches. 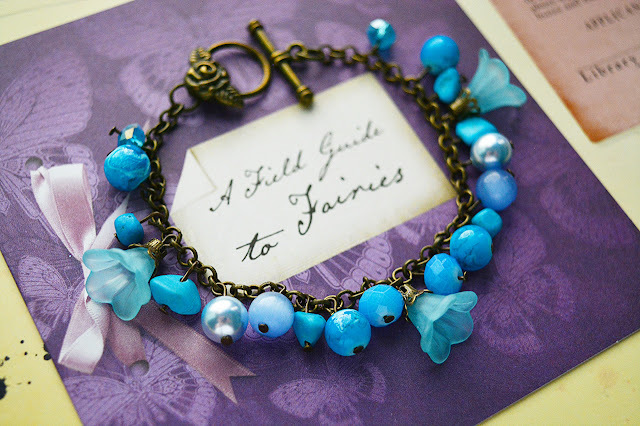 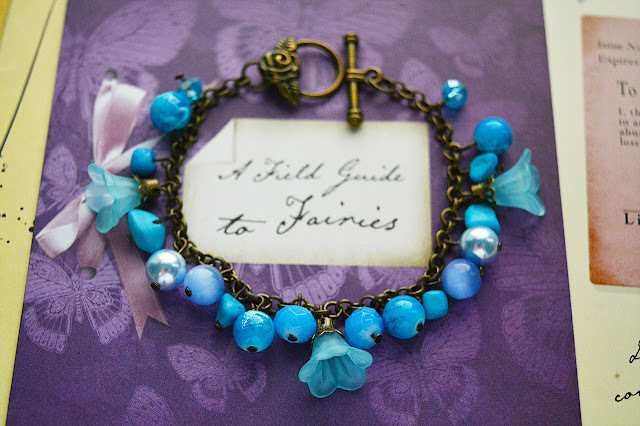 This Vintage Blue Fairy Bracelet is made of Turquoise shards, Swarovski™ crystals pearls, cat eye beads, acrylic beads, bell flower charms & brass rose toggle clasp. 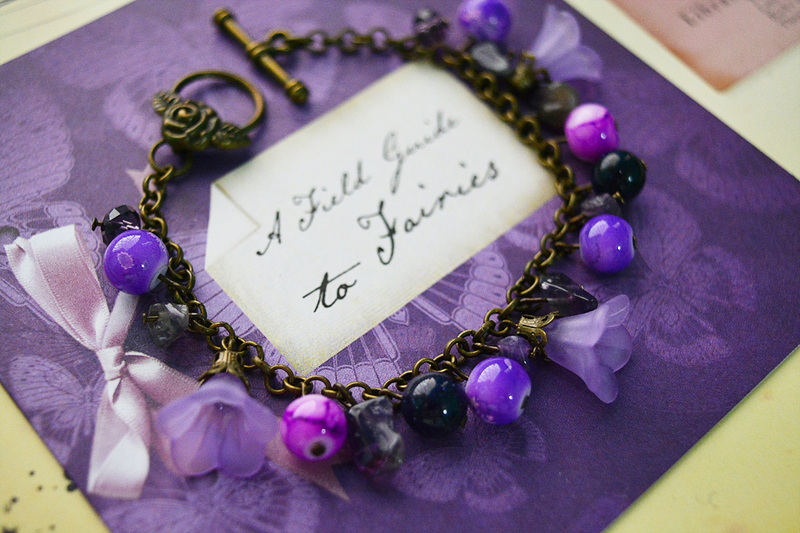 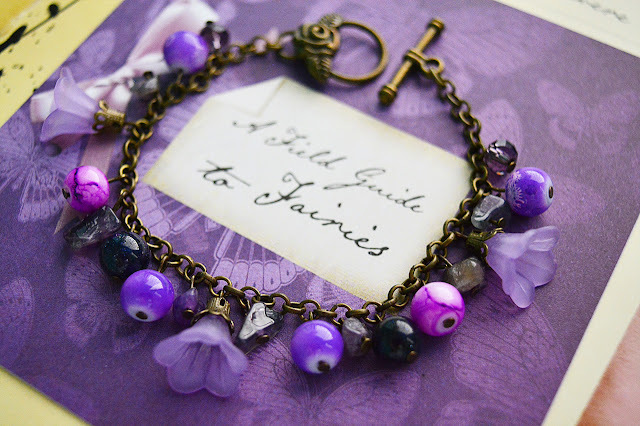 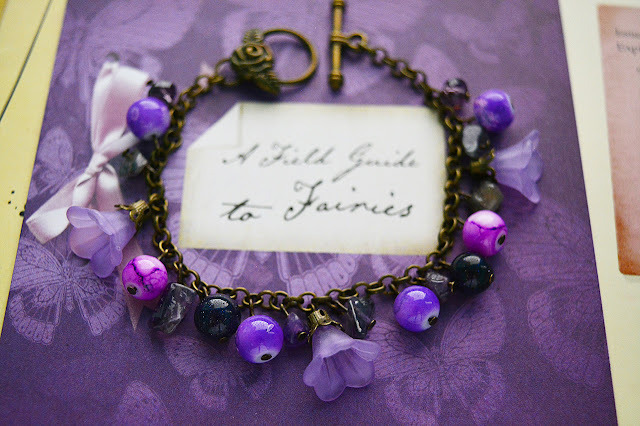 This Vintage Purple Fairy Bracelet is made of Amethyst shards, Blue Sandstone beads, acrylic beads, crystal beads, bell flower charms & brass rose toggle clasp. 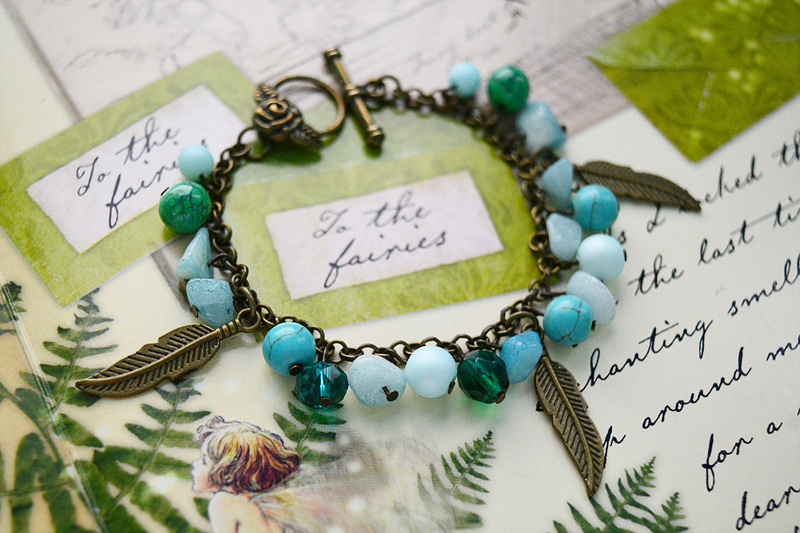 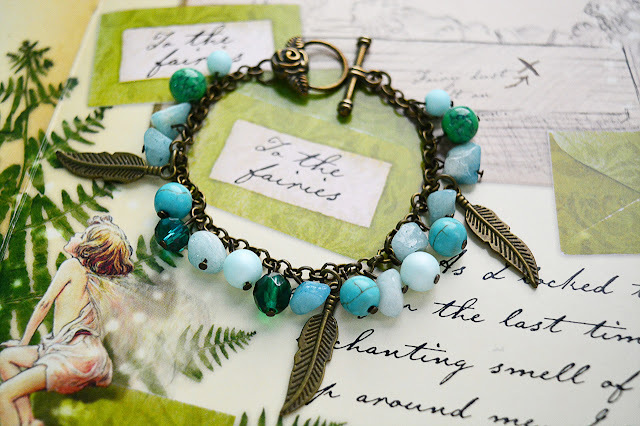 This Vintage Green Fairy Bracelet is made of Turquoise beads, Amazonite shards, Czech Fire Polished Beads, Japanese Faux Pearls, brass feather charms & brass rose toggle clasp. 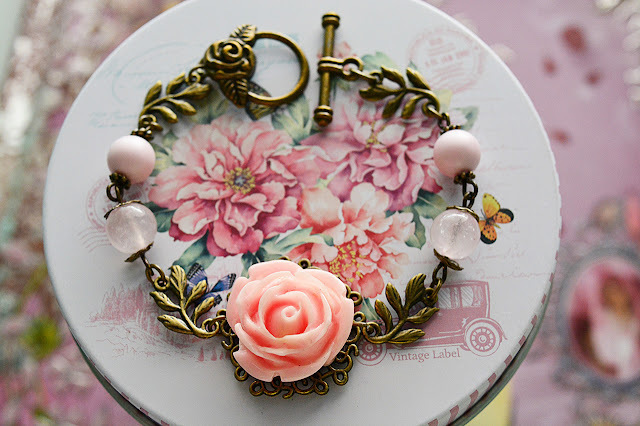 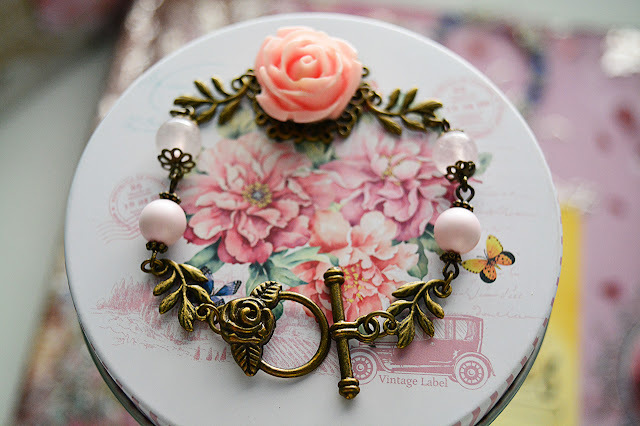 This Vintage Pink Rose Bracelet is made of pink rose cabochon, Rose Quartz Beads, Swarovski™ crystals pearls, brass leaf charms & brass rose toggle clasp. Overall, the bracelet measures 18.3cm in length / 7 Inches. 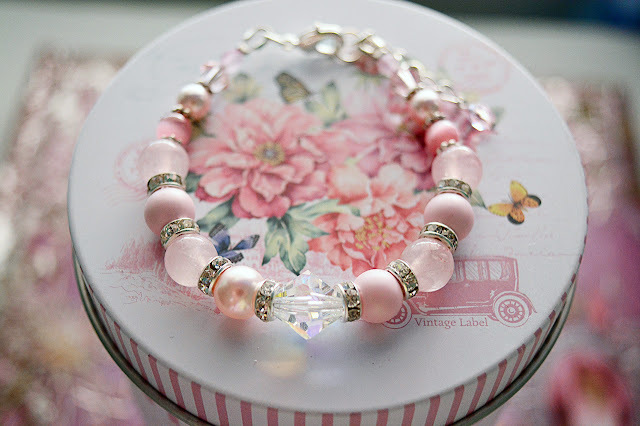 This romantic Pink Crystal Bracelet is made of Rose Quartz beads, Cat eye beads, Swarovski™ crystals pearls, Czech fire polished beads & Crystal rhinestones.